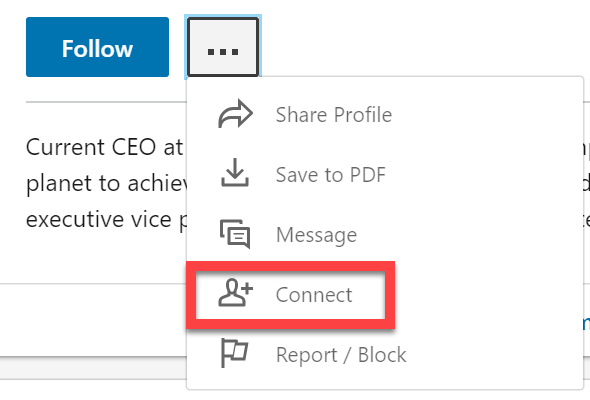 By default, you’ll see that most people on Linkedin have a Connect button like shown above. 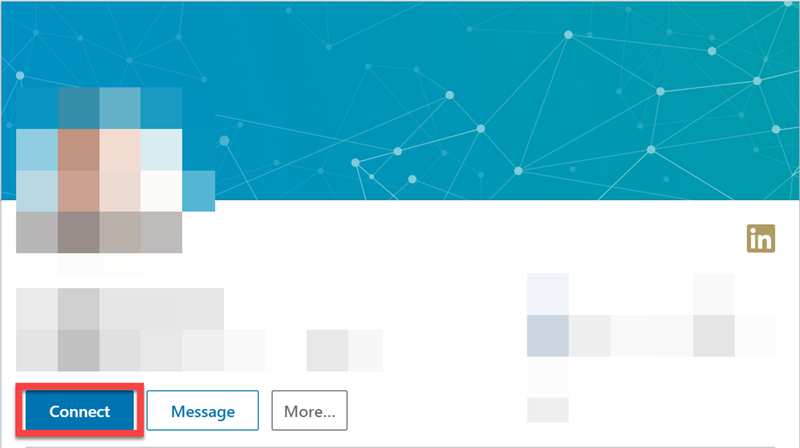 Now that is a great option, however unfortunately, I’m sure many people have connected with someone on Linkedin innocently and almost immediately you get spammed since they can now message you. Of course, you can remove them but there is a better way to reduce this happening. 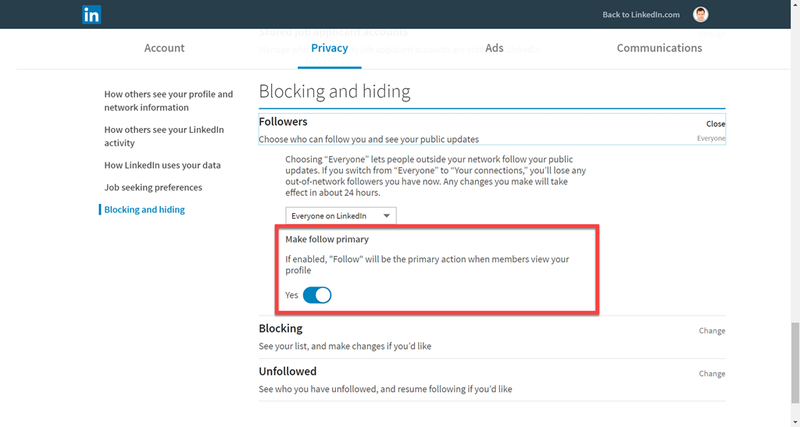 What you do to change the default option from Connect to Follow is go into your Privacy settings, then select Blocking and hiding. 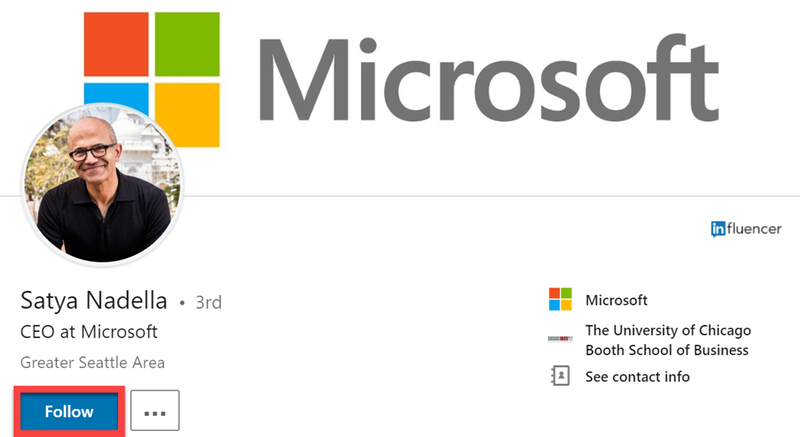 At the bottom enable Make follow primary. Now the default action will be Follow as seen above. Is Connect still there? Yes, but you need go hunting for it, which means that most people trying to spam you probably won’t bother doing that. Not foolproof I admit, but certainly a handy way to make it just that little bit harder to spam you!